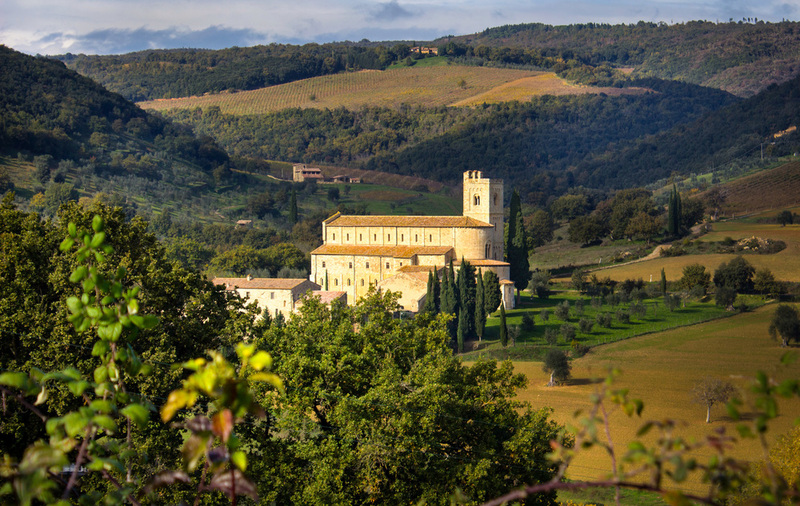 Take a virtual tour of beautiful Tuscany with Ashley Turney and L'Esperta. 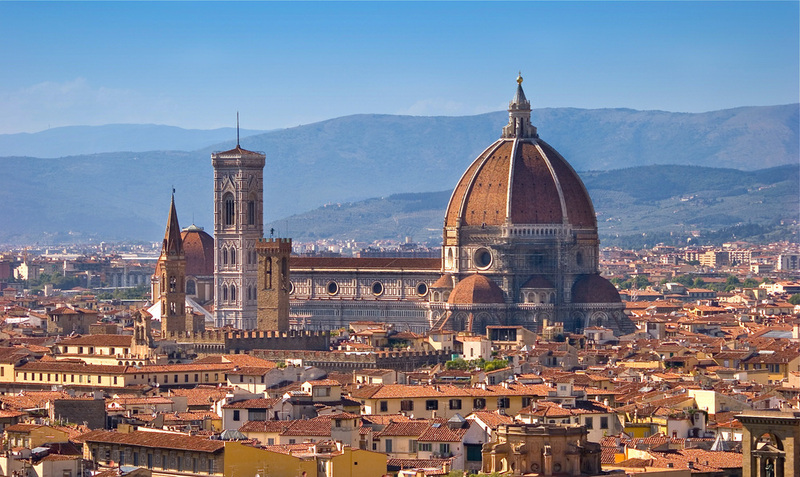 Tuscany is one of the best known regions of Italy and a must for any traveler with its magnificent landscapes, fabulous wine, charming medieval villages and artistry of Florence. As you walk the same streets of Bottocelli, Michelangelo and Dante, you can't help but notice that Florence's art and history surround you. This artistry isn't just limited to the wonderful museums and churches, it's everywhere. Spend an afternoon exploring the magnificent shops of Florence and you will be surrounded not only by beautiful architecture but also by impeccable craftsmanship in the products that the local artisans have to offer. As the afternoon turns to evening and it's time for a break, don't miss the elegance of Rivoire, the perfect cafe in Piazza della Signoria for a cappuccino or perhaps a glass of prosecco. Relax and enjoy watching Italy's other great art form: its people. While you can lose yourself in all Florence has to offer and never make it beyond its walls, there is so much more to experience in Tuscany. Chianti is one of those experiences. Only about 45 minutes outside of Florence, the sunflowers, olive groves and of course vineyards that make up the landscape should not be missed. Wine lovers can't get enough of this area and it is worth spending a few days here to soak up the peacefulness of the countryside. Of course after a day of exploring the Chianti country side, it's time to relax and be pampered. I can't think of a place that says "Chianti" more than the Villa Bordoni. Owned by a Scottish couple, this 15th century villa, nestled among vineyards and olive groves, oozes warmth and hospitality from the moment you arrive. From the gracious staff to the intimate bar where breakfast and aperitifs are served, this is truly a country paradise. One cannot live on wine alone. And while vineyard hopping is a must why not take a cooking class or visit a terra cotta producer Impruneta? Does Chianti make you think of your local pizzeria? 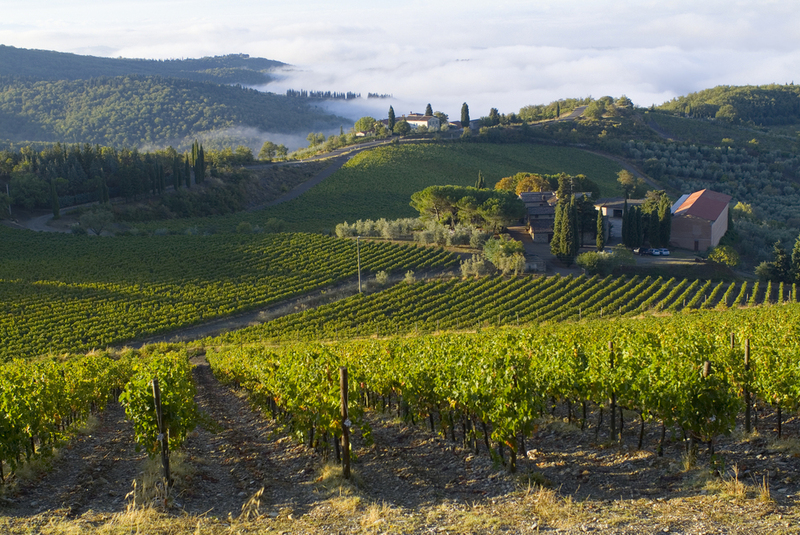 Chianti gets a bad rap and there are some fabulous wines produced in the Chianti region but if you are looking for the "big boys" of Tuscan wine, then Southern Tuscany and the Val D'Orcia are for you. Val D'Orcia is stunning, with landscapes that are much more austere than those of the Chianti valley. 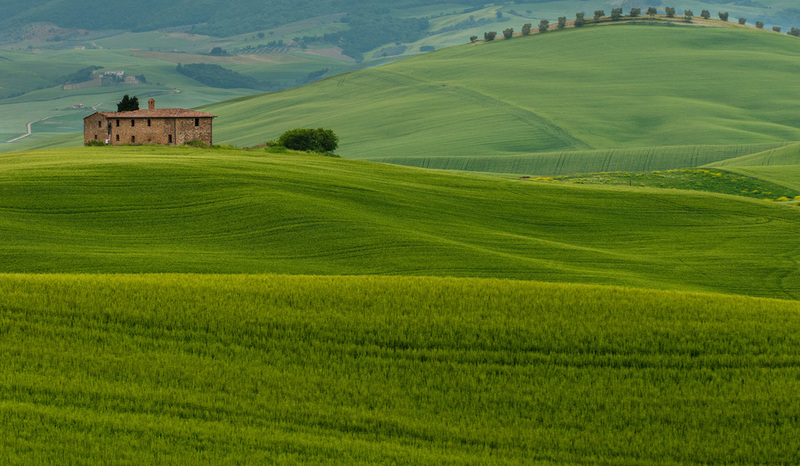 Rise early to get one of those iconic photos of the Tuscan countryside. After a relaxing breakfast explore the wonderful towns and villages of Pienza, Bagno Vignoni and Montichiello. Tuscany is not ALL about wine though. For those of you interested in culture, history, music or simply beautiful landscapes, there is something for everyone. Take Siena for example. Immerse yourself in this city for a day or two and you will inevitably learn about the palio an annual horse race that takes place in July and pits the contrade or neighborhoods of the city against one another. It is a common thread that weaves its way into everyday life and is a fascinating aspect of the city. Also not to be missed are the Duomo, the Baptistery and the Piazza del Campo, a perfect spot to enjoy a late afternoon beverage while recalling the events of the day. 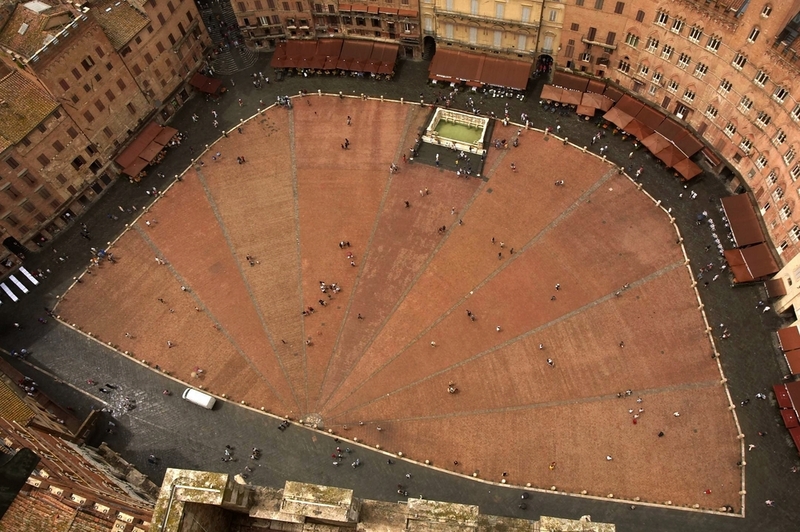 Is Siena too big and bustling? Maybe you would prefer a stop in San Gimignano, a charming medieval city. This is a great place to spend a late afternoon/early evening AFTER all the day trippers have left. The middle of the day here can be so crowded that the streets become impassable and unpleasant but a late afternoon stop here is just perfect in my opinion. No trip to Tuscany is complete without a stop in Lucca. This is one of my favorite towns in Tuscany. Everytime I go, I fall in love. It just seems so livable - I could easily put down roots here. The Lucchesi ride their bike everywhere and there is a friendly and vibrant feeling here. The city is a walled one and you can walk or bike on top of the walls all the way around town - a really cool experience. And then there is the zuppa di farro - spelt soup - a local dish that I dream about. Go to da Leo's for a truly authentic and delicious version of this dish. I hope you enjoyed this virtual tour. If this little taste of Tuscany made you yearning for more, contact me and we can talk about planning a fabulous trip of a lifetime.